The Racer series is a new line of gear designed to withstand the intensity of 3gun competition. 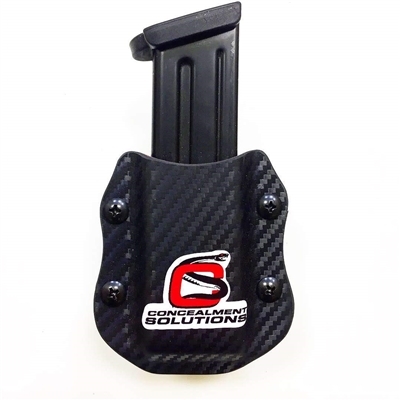 Built with a dual layer of Kydex this holster has the stiffness and durability to perform under the harshest conditions. The ambidextrous design allows you to carry on the right or left side. 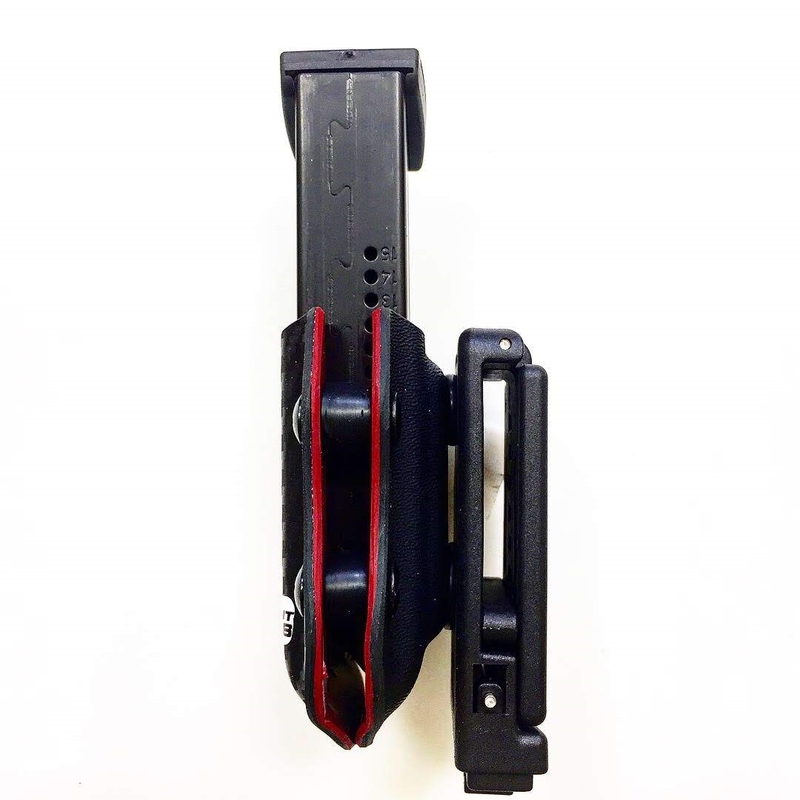 The adjustable belt attachment fits heavy race belts up to 2" wide. The push button release is convenient and easy to use and locks once in place by simply sliding the button to the side. Four adjustable retention screws give you control to set your level of retention just how you like it. With a black carbon fiber patter exterior and colored interior this magazine carrier will turn heads at any match.